This splendidly illustrated book examines the 'living traditions' of the former royal court of Jaipur in the light of the objects and materials that are integral to the established rituals and celebrations. The author takes us on a vibrant and informative journey through the Hindu seasonal calendar and the year – round panoply of festivity and ceremonial observances that are special to Rajasthan, particularly Jaipur. 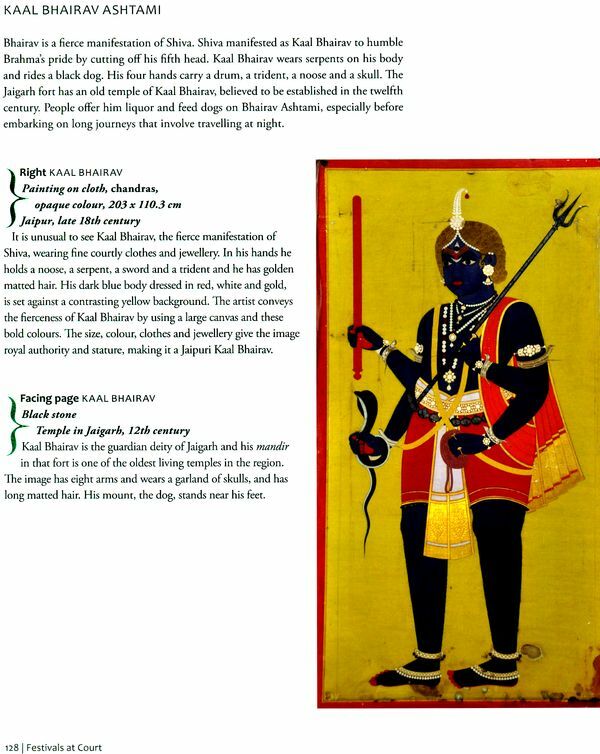 Lavishly illustrated with over 100 photographs of miniature paintings, ritual objects and ceremonies, this book is the first in a series on the collections at the Maharaja Sawai Man Singh II Museum in the Jaipur City Palace. Others in the series are on Arms and Armour (by Robert Elgood) and on Clothes and Textiles (by Rahul Jain). Dr. Vibhuti Sachdev qualified as an architect (SPA, Delhi) and has a PhD in Vastu Vidya (SOAS, London). She works as a conservation consultant writer and product designer, and is interested in issues of Indian modernity, urbanism and in craft and cultural tradition. She has taught at the University of Sussex, she is the author of three books and several articles on the subjects of Jaipur, Vastu Vidya and Indian cities. She is currently Professor at the Sushant School of Art and Architecture, Ansal University. Shila Devi Temple: View of the shrine Amber, 2012 The temple of the kuldevi (or clan goddess) Shila Mata is the site for an elaborate ceremony involving a military parade and a religious ritual during the festival of Vijayadashmi. Located in the Amber palace, the temple predates the city of Jaipur. The banana trees that frame the shrine were added in the time of Maharaja Swami Man Singh II and were carved by the Nathas, a family of master craftsmen settled in Jaipur. This book is about festivals that are celebrated at the jaipur court, and are tied to the seasons of the Hindu calendar. The celebration of many Hindu festivals is common throughout India but there are regional shades of ritual and meaning. 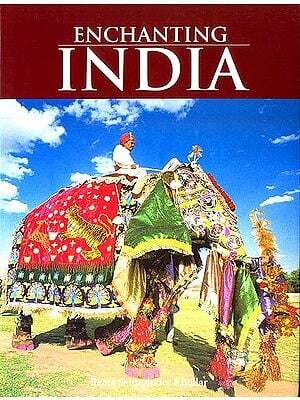 This book describes the Hindu festivals is common throughout India but there are regional shades of ritual and meaning. 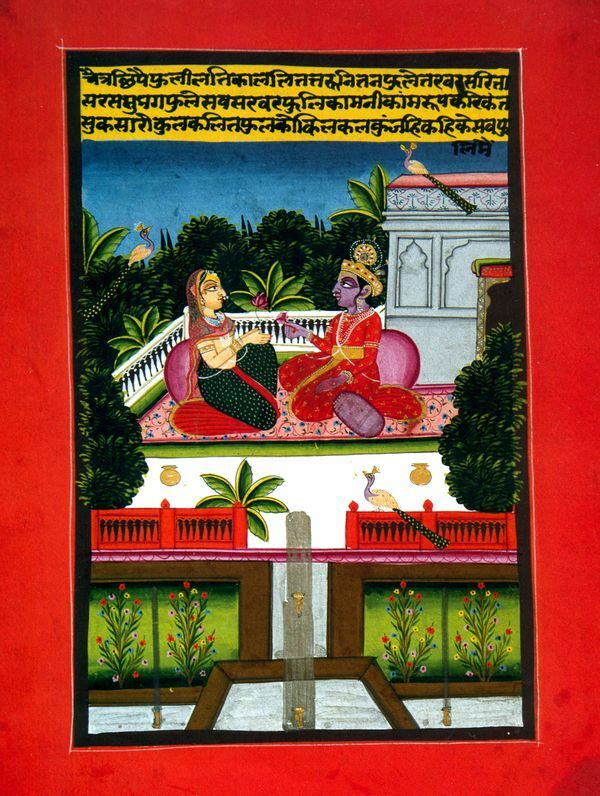 This book describes the Hindu seasonal calendar as it is celebrated in the context of a court, giving general aspects of the festival celebrations that are common to many regions in India and those that are special to Rajasthan, in particular to jaipur. For example, the monsoon festival to Teej is celebrated in most parts of northern India with similar rituals, but in Jaipur it involves a procession that gives it a unique urban scale, that unites the city and the palace in a single act of celebration. The rituals and the mythological context of the festivals are discussed along with other aspects such as food, dress and music. 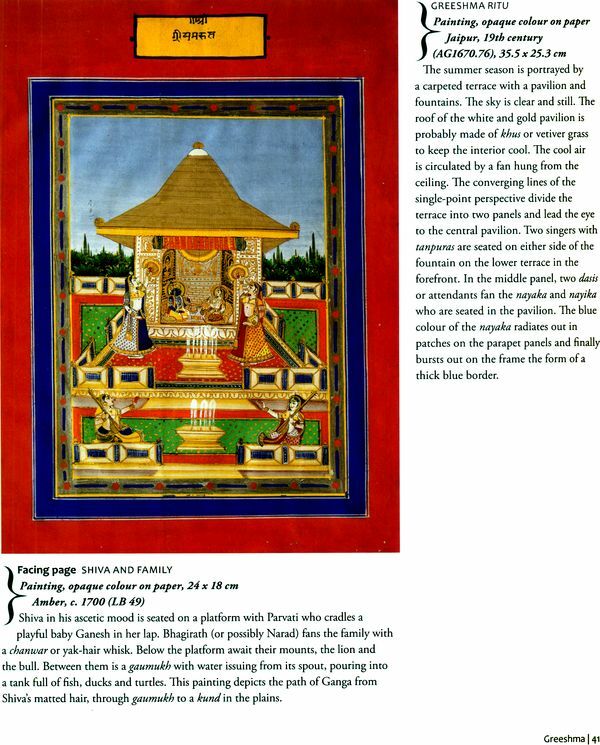 The book also mentions and illustrates related objects and paintings from the collections of the city Palace museum. My aim is to present an art – historical approach to festivals that includes materials and objects that are normally thought to lie outside the traditional domain of the museum world. At the same time, and conversely, I take a festival themed approach to certain museum objects. It often happens in dealing with India's living traditions that the value of an object is judged not only by its date but also by what it means for the people who are using it. Observing the layers of religious use and meaning enriches our understanding of the artefacts and guides our aesthetic response by bringing us closer to their cultural context. The city of Jaipur was founded in 1727, when the waning power of the Mughals enticed regional powers into powers into political assertion. The commercial city of Jaipur on the plains replaced the sheltered military stronghold of Amber. 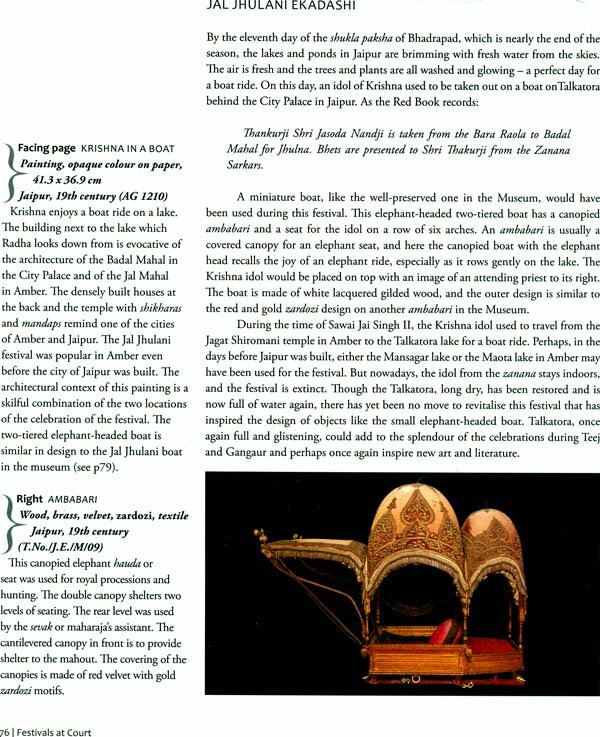 Jaipur became a centre of commercial innovation by excelling in the arts, and also a prominent stage for the display of a sophisticated courtly and urban lifestyle. In every reign, Jaipur reinvented itself by embracing new technologies and cultural influences in a way that became a hallmark of its style. The Jaipuri style stems from an identity which is neither wholly 'traditional' nor wholly modern but both at the same time. This can be witnessed at the court even today, despite the transfer of power to democratic institutions in the mid-20th century. Exhibirions and studies of Indian court culture tend to focus on material relating to political power and military might – such as portraits of kings and officials, arms and armour, forts and palaces or else on material labelled as decorative and ornamental art such as fine clothes, jewellery and paintings; or on more ephemeral matters such as food and the performing arts. Whatever the chosen emphasis, the material is often defined as secular art, to be distinguished from sacred art and architecture, as though court and temple were two separate domains. Festivals are events that diffuse the boundaries between religious and courtly, and private and public domains. They are events that create museum – worthy material in the form of special garments, religious implements, paintings depicting seasons and festivals, special food, music and cultural performances. So many festivals are celebrated in the city of Jaipur that the idiom saat vaar aur nau tyohaar (nine festivals to seven days of the week) appears almost moderate. The City Palace of Jaipur is an important cultural hub for celebrating festivals, and even today the entire city takes its cue from the way the ritual calendar is observed by the place. The rhythm of life in the City Palace follows the best of the seasonal cycle of festivals. The palace buildings have witnessed the way the ceremonies are observed and conducted with elan and rigour since the time of its foundation. Many of the festivals that are patronised by the Jaipur court today have been celebrated since the city's foundation. 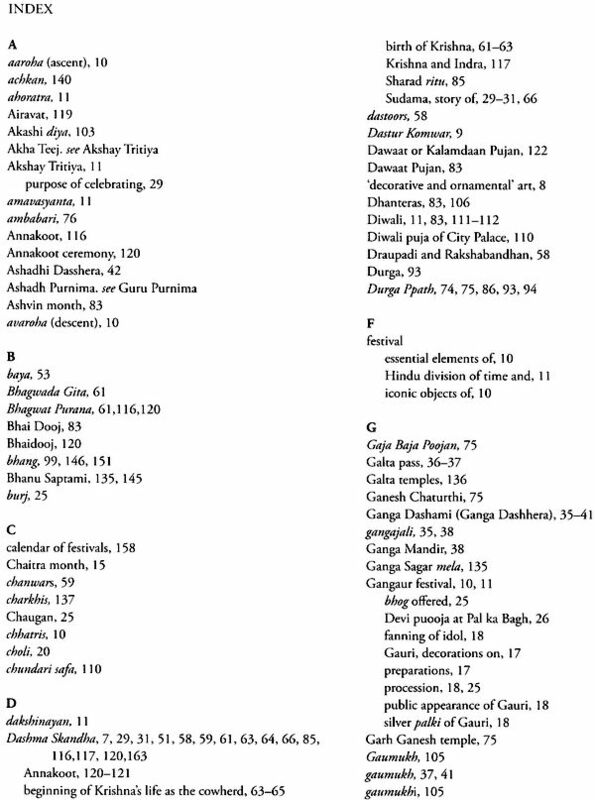 Reproduced below is an account based on official documents known as Siaha Hazur and Dastur Komwar, from the reign of Maharaja Sawai Jai Singal II (r. 1699 - 1743), recoding the festivals celebrated at court in the 1730s. This account was compiled by V.S. Bhatnagar in his book, life and times of Sawai Jai Singh in 1974. In the month of Chaitra, on the occasion of Holi, the idol of Sita Vallabhi was taken out in a richly decorated chariot drawn by elephants, Sawai Jai Singh following it with his nobles, playing Holi on the way. On Chaitra Sudi 9 Ramanavami was celebrated in the palace, temples and in homes of common men. 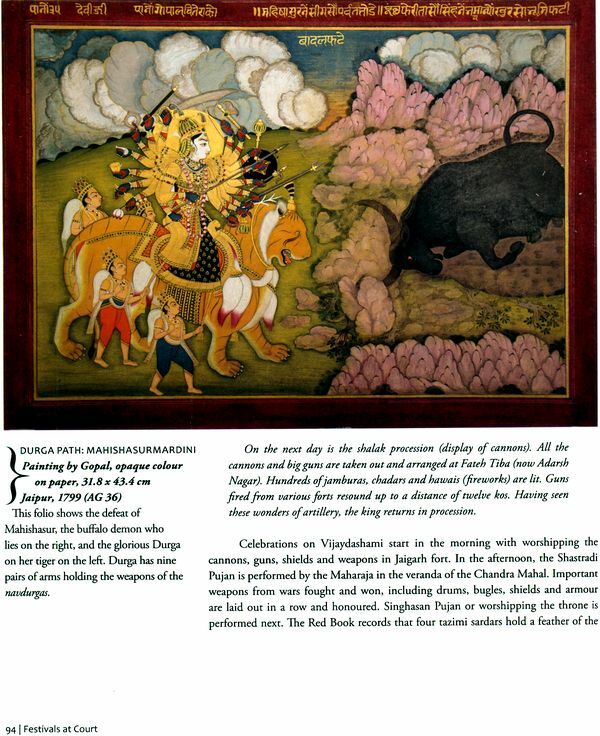 In the month of Chaitra, on the occasion of Holi, the idol of Sita Vallabhji was taken out in a richly decorated chariot drawn by elephants, Sawai Jai Singh following it with his nobles, playing Holi on the way. On Chaitra Sudi 9, Ramnavami was celebrated in the palace, temples and in homes of common men. In the month of Shravana, Nagapanchami and janmashtami were celebrated and in the month of Bhadon, Ganesh Chaturthi and Jal-Jhulani Gyaras were observed. 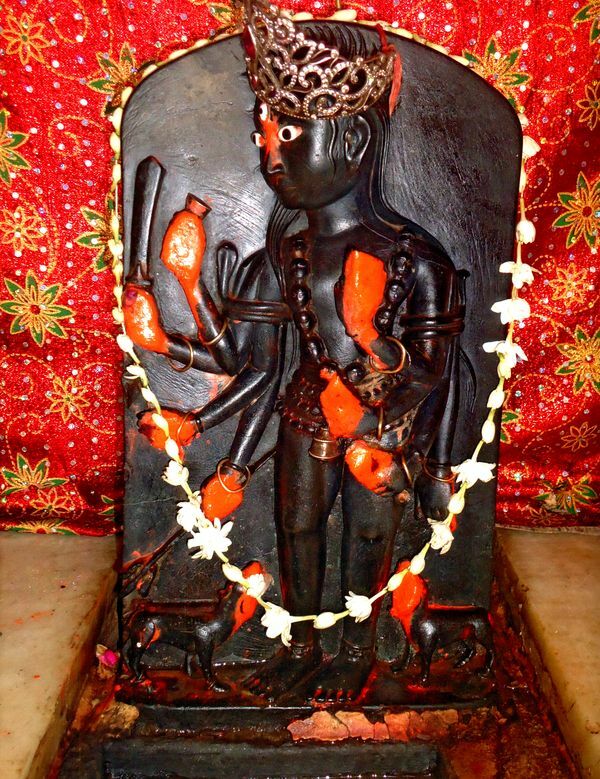 On Jal-Jhulani Gyaras, the idol of Krishna in the Jagat Shiromani temple was brought from Amber to Talkatora for a colourful ceremony. In this branch of a fruit tree. In the month of Asoj, on Vijaidashami day, the Idol of Sita Vallabh was taken out ceremoniously, the Raja taking part in the sawari of the Lord. On this day a grand durbar was held. On the occasion of Deepavali [Diwali], in the month of kartik, the goddess Laksmi was worshipped, in the month of Magha, the idol of the Sun, installed in the Sun temple on the ascent to Galta, was taken out in procession with Jai Singh, the Mahants, and others following the idol. Two other festivals, which were observed in Jaipur with especial gusto, were those of Gangaur and Teej. Gangaur was celebrated on shravana sudi 3. 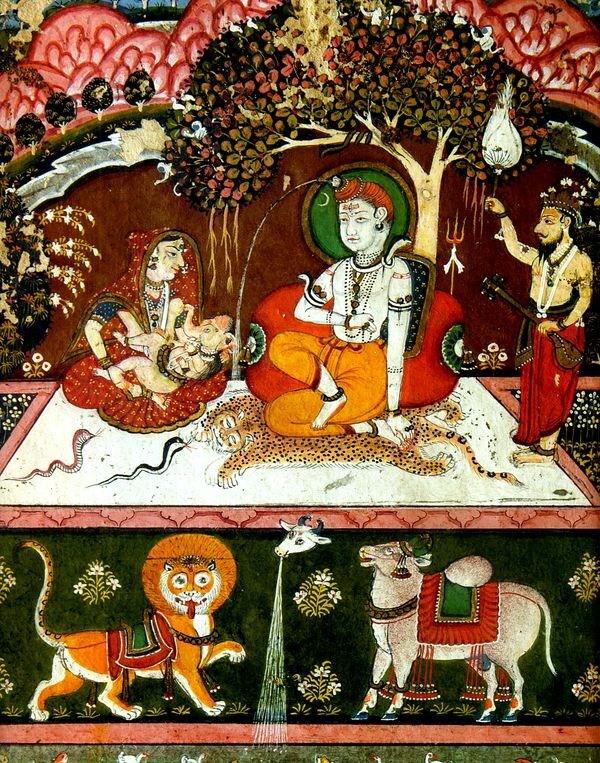 On this day idols of Isar (Mahadeva) and gauri or Isari (Parvati), which the women of all castes and status worship for fifteen days prior to the 3rd of Shravana, were taken out for immersion in a tank or a river. The king surrounded by his nobles, took part in the colourful procession. The spectacle in Jaipur on the occasion of Gangaru during the days of its greatest prince must have been truly spectacular. There were some other festivals also which were observed in Jaipur. Soon after Deepavali, the three important festivals which used to be celebrated here were the Govardhan Puja, Annakuta and Bhaidoja. 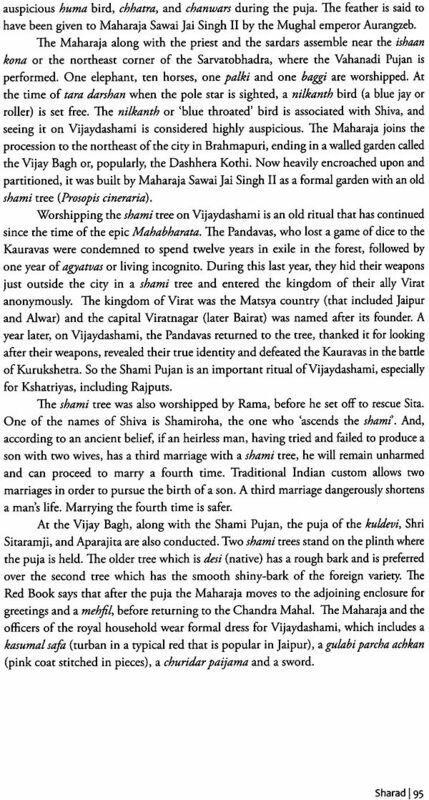 In Dastur Komwar records, there are references to the amount given by Jai Singh to his sister, the wife of Maharao Budh Singh of Bundi, on the occasion of Bhaidoja. Forty years later, another courtly text, Pratap Prakash, gave a list of festivals celebrated in the court of Maharaja Sawai Pratap Singh. 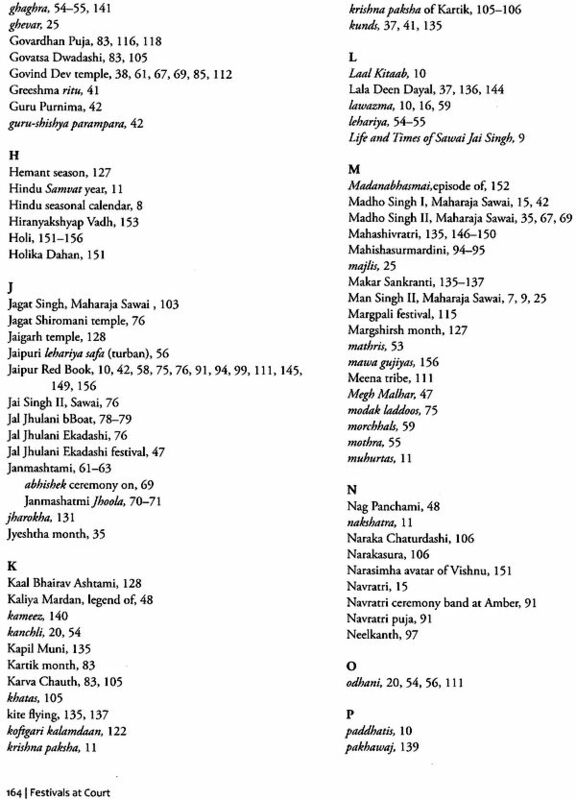 By and large this list matches the earlier one from the reign of Sawai Jai Singh II. In modern times, during the reign of Maharaja Sawai Man Sing II. 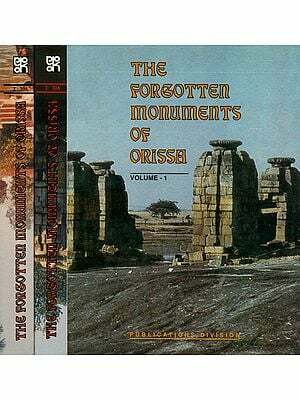 (r. 1922 – 1970), a book on ceremonial procedures was compiled by a special ceremonials committee. Written in English, the book is the most complete list of the festivals and ceremonies observed in the court and even today it serves as a rough guide for the royal family on how the rituals are conducted. The Red Book, as it is popularly known, derives its soubriquet from the Laal Kitaab, which is a popular bestseller on astrology. Apart from these three literary sources and classical Indian texts, information about festivals has also been gathered from priests and their disciples. These learned men preside over every ritual, conducting them with rigour and discipline accepting and then rationalising negotiation between text andpractics is an important element of India's living traditions. Finally, wherever possible, this book draws on historical texts to convey the mood of the festival, and to describe the dress, music food and rituals associated with the events. 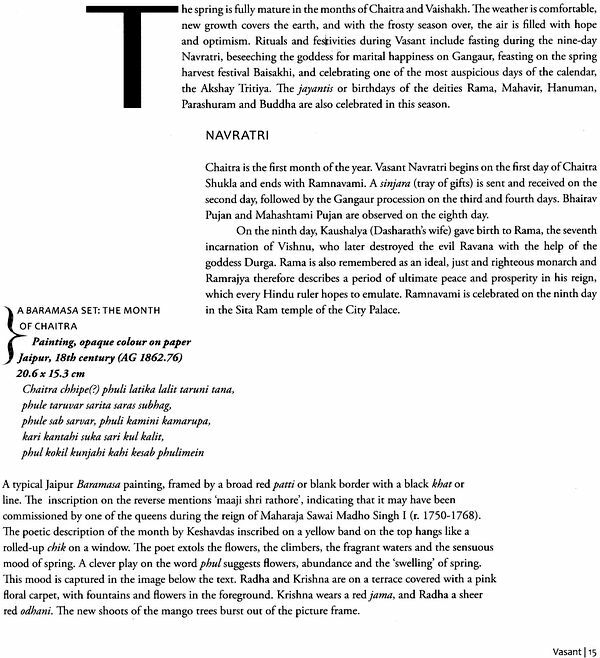 It is typical of traditional ceremonies that even when the paddhatis or ritual procedures are explicitly laid out in texts, each performance or observance is different. The way in which a festival is celebrated may be compared to a performance of a musical raga. Essentially a raga is made up of a minimum of five notes laid out in a particular sequence, with a distinct temporal pattern of aaroha and avaroha. Beyond this basic rule little else is fixed. So, in a musical performance, the artist may introduce subtle departures from the basic structure, making the rendition unique while maintaining the identity of the raga. Celebrating a festival is not dissimilar. Each festival has essential elements that are firmly linked to its identity, and yet each time new elements are introduced that make the experience unique. So there is no authentic' or single way of conducting a festival. For example, one of the essential ingredients of the festival of Gangaur is the procession around the city. The object central to that procession, without which Gangaur cannot be celebrated, is the idol of the devi in her silver palki. The Lawazma is the paraphernalia accompanying the devi in the her silver palki. The lawazma is the paraphernalia accompanying the devi in the Procession, generally comprising camels, elephants, carts, performers and musicians. The zananana, the devi, the palki and the lawazma are like the notes of a raga set sequentially and temporally around which the festival is conducted. But the procession also accommodates occasional changes in patronage, and in social and political contexts. This makes the experience of the festival each year different. For example until 2012 the route of the procession entailed marching through the Chaugan (polo ground), which is directly opposite the chhatris (Chini Burj, Moti Burj and the Zanana Burj) on the western wall of the palace. The royal family and their guests used to witness the procession from the chhatris. The state tourism department has now declared the Chaugan as a stadium, rendering it inappropriate as a venue for processions and melas. As a result, the procession now bypasses the Chaugan and the venue has moved to Talkatora, making that place more vibrant than perhaps it ever was. The iconic objects of festivals, such as the idol of the goddess, are a significant aspect of the material and cultural heritage of the jaipur court. Along with a rich collection of textiles, paintings and manuscripts housed in the City palace Museum, the objects that are still in use during ceremonies and festivals from a special strand of the cultural fabric. In delineating prominent festivals, this book discusses these iconic objects of material culture in the museum or still in use.